To make your vision blurry. Then your wins will be few. 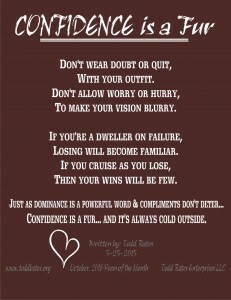 Confidence is a fur… and it’s always cold outside. 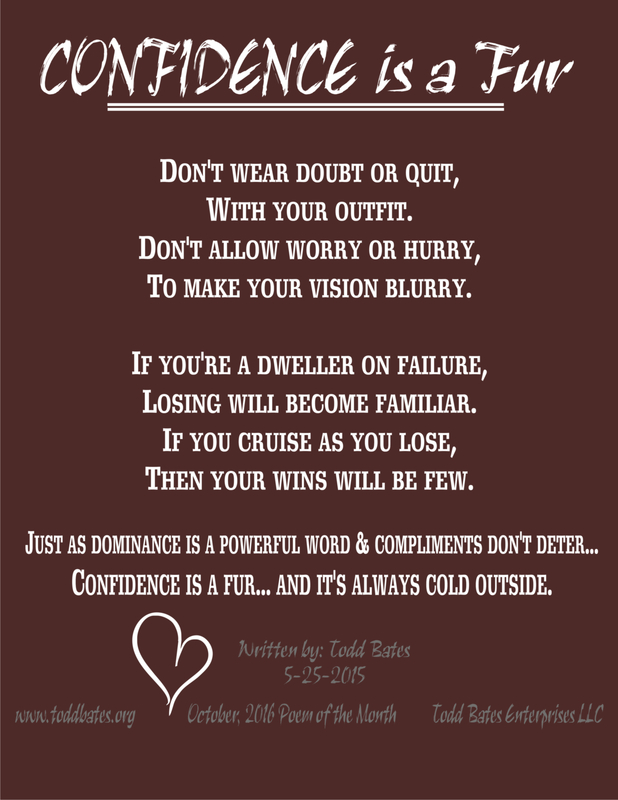 Todd Bates great poem for October.